The Actifry Plus is a slightly larger version of the Actifry Classic. 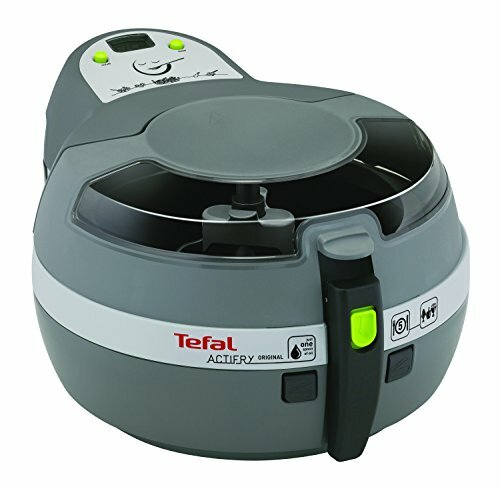 Screen capture from Tefal web site, August 2014. 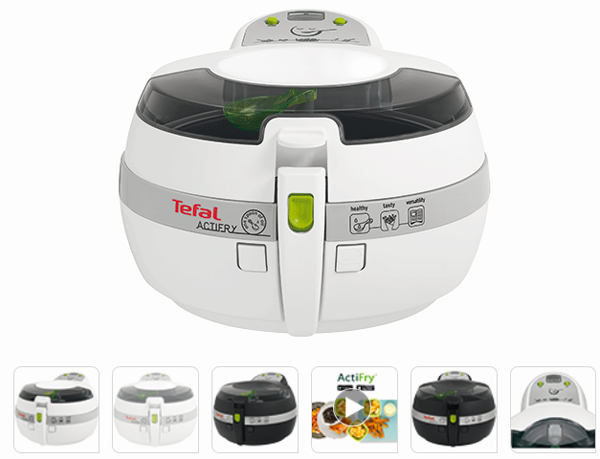 It handles 1.2 kg (2.6 pounds) of chips / fries at a time, compared to 1 kg (2.2 pounds) for the Actifry Classic. Available in white and black, it is sold in Europe, the UK and in Australia. It is not sold in North America as of summer 2014. Like the Actifry Classic, it uses 1400 W of power, and the timer does not automatically stop the machine. Model numbers are in the GH800xxx range. The Actifry Snacking Basket accessory can be used with this machine. * Actifry™ is a registered trademark of SEB, France.